As someone very intellegent pointed out to me the "b" and the "s" keys are not even close to each other on a keyboard. 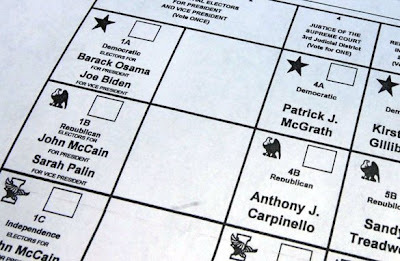 In light of the recent news that hundreds of absentee ballots were sent out to voters in New York State's Rensselaer County reading "Barack Osama" I did a little exercise. I typed the question "Is Barack Obama muslim?" into the Google search engine. I'm glad to see that some very smart people wrote a very concise web page explaining this. Here is the top hit if you don't feel like doing it yourself.